It's all here at City Green! 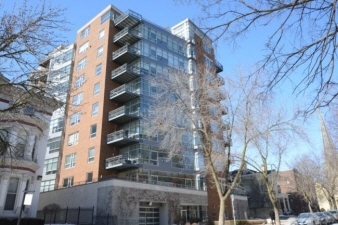 Enjoy Downtown condo living in this newer building on a quiet street with beautiful lake views. Unit features 2 large BRs, 2 BAs and an in-unit washer & dryer. KIT w/stainless steel appliances, granite countertops and breakfast bar is open to dining area & living room w/door leading to the balcony-a perfect space for entertaining. The master bedroom includes large WIC & master bath. Amenities include a fitness center & community room. 2 car indoor parking completes the package!